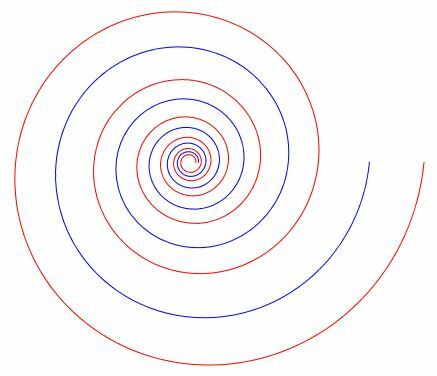 The logarithmic spiral is self-similar. In the applet, there are two sliders: one controls the radius, the other "phase" shift that actually controls the radius of the second spiral that is initially hidden by the visible one. The thing to observe is that that the spirals continue to overlap as the radius of the second one grows.